[mp3] Amanaz: "Khala My Friend"
Our love of most everything having to do with good African music on this site, is fairly clear. 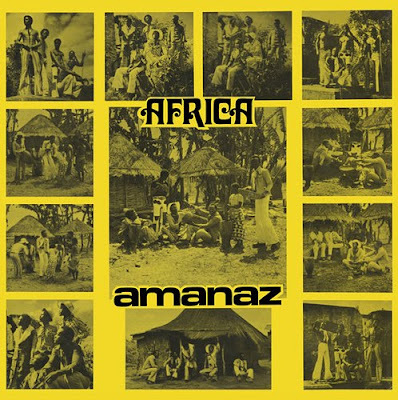 This morning, we wanted to share this newly available treat with you: the 1975 classic Africa from Zambian psych-rock band Amanaz. Originally posted by the oft-trustworthy GVB this long out of print record recently saw limited repressing on vinyl (sold out), but is now available to everyone thanks to Now Again and Stones Throw. This record is a slow burner getting better with every listen, and an album that is absolutely worth picking up right away. You can get it on CD/MP3 here.